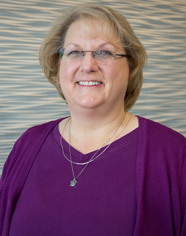 Deanna Amos is a partner with KBST&M and has over thirty years of public accounting experience. She has been with the firm since 1994, and currently serves as the head of the firm’s audit department. Deanna’s areas of concentration have been in auditing (mortgage industry and non-profit), accounting services, individual and corporate taxation, and estate/trust taxation. She serves many clients in various industries, including professional services, real estate, non-profits, and mortgage lending. Deanna holds a Bachelor of Science degree in Accounting from the University of Maryland.